The launch of Into the Abyss and the emergence of Abyssal Deadspace is upon us, and before the deluge of losses hit in earnest those of us here at the writing INN team thought we’d share some useful fits that players can use to test these new sites. Indeed, we’ve been testing these sites in Singularity since they became available. Please be aware that these are suggested baseline fits, and each is accompanied by a description from the creator of the fitting. These fits can be improved upon, and you absolutely should make these your own. Just be aware that we will laugh and point when you die in something blingy, as will everyone else. Abyssal sites are mean to players; they actually take effort. The following authors give their recommendations for fits and strategies for successful running of Abyssal Deadspace sites. Running Tier-1 Dark sites requires a Calm Dark Filament. Your skill level will very much dictate how easy this particular abyss is to complete. That might sound like a trite observation, but it really isn’t. You have twenty minutes to get out or you die. The higher your skill level, the more damage you can lay down and therefore the better chance you have of surviving. Use Precision on all the small stuff and Fury on the big. Try and curve in on the battleship, web it and orbit at around 7,500m. Because of the speed bonus you won’t need to run your MWD once you are there, but you want to get there as fast as you can to avoid taking damage. Once you are close, the battleship literally won’t be able to hit you. Web it, go through the reloads, and it will run as smooth as silk. Be ultra-careful not to stray far in the rooms. Once you start taking damage from the environment, you do not have a huge amount of time to sort yourself out. This fit will have you comfortably clear all three rooms and leave with your loot, with around five minutes to spare, however do not be tempted to think that this will therefore work in a Tier 2 Dark. It won’t. If you don’t have the skills for T2 missile launchers, then you can use Prototype ‘Arbalest’ Rapid Light Missile Launchers with Caldari Navy Mjolnir Light Missiles (grab at least 1500 for your hold). This is still comfortably doable, but don’t tarry for the view. You can do this level in a standard Caracal. Either fit works (with one less launcher), but you need to be on top of what you are doing, simply because you can’t lay as much damage down. That one extra launcher on the Caracal Navy Issue makes a significant difference that isn’t in any way matched by the drones you can use with the standard Caracal. We’ve been testing the different sites and levels, finding out how they work and what’s the best ship(s) to take. Over the course of testing, elements within the abyss changed and we were introduced to new NPCs and more advanced AI behavior and tactics. I chose the Gila, as it’s a popular ship for PVE play. Most players including myself have been using it for the event sites since the events started at the turn of the year. As such will have plenty of skills and experience with the ship. The Gila is a classic PVE ship due to access to missiles and drones; her bonuses are suited for dealing kinetic and thermal damage. This means we will be using the Gila in Exotic Particle Storm and Plasma Firestorm sites. I find this fit works great as an “entry level” fitting for Tier 1-2 sites. For damage types you’ll want to use thermal for Plasma Firestorm and kinetic for Exotic Particle. You should also pack both Fury and Precision ammo for your damage type as well as ten drones for your damage type as well. This will allow you to deal the most amount of damage possible. Use heavies for cruisers and above, mediums for frigates, lights if you have trouble hitting. No scripts in the omnis unless you have trouble hitting. Not cap stable, though, so manage the reps. I use Quake for destroying the can while killing the last enemies, and additional damage against close-orbiting frigates and cruisers. IMHO, level 3 is the minimum to get any payout of worth (but I’m used to carrier ticks as minimal income). In the last 24 hours the price of every Heavy Assault Cruiser has climbed over 150 Million ISK in price. I do not expect that to slow down before mid-June. Congratulations, industrialists and traders, you just made bank. Fleet and skirmish commanders, you have my condolences. I’m afraid I’m not going to be helping matters when it comes to the availability of HACs, as they really are the best suited to running these new sites. However, at an average of 400 to 500 Million ISK, they’re not exactly super-available to newbros or those who don’t enjoy the same earning potential as those living in large 0.0 alliances. New players will likely find them positively unattainable. Even the marginally less-expensive Stratios is likely to see a stratospheric climb in price. 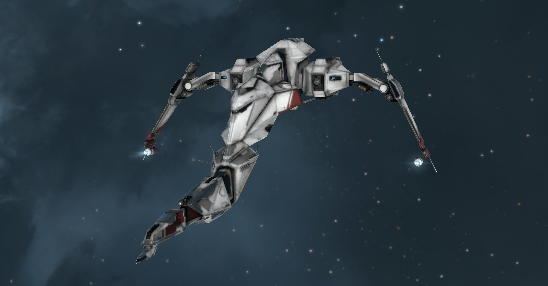 The below fit gets north of 600 DPS with Fury Heavy Missiles and Tech-2 medium drones. DPS drops to about 500 total when using Precision Heavy Missiles. The Sacrilege is a beast when it comes to dishing out damage at range and engaging anything up close. It can run cap stable with a Corelum C-Type – or for 10 minutes with a Centum A-Type – medium armor repairer running, which is plenty. The Assault Damage Control is great for when you get swarmed by rogue drones, or if you encounter the off-type Demaviks and Vedmaks which deal lower amounts of omni-damage but are often accompanied by drones. Heavy missiles give you 400+ DPS (from missiles alone) out to ranges around 70km unscripted; so you can hit almost everything in the site, and fitting a SeBo and a Web let you quickly lock and deal with smaller, faster rats. The Sacrilege also has sufficient drone bay space to field a flight of medium and two flights of light drones (pushing DPS up to north of 600). These will let you handle most drone threats and anything fast enough to stay ahead of your missiles. The addition of a Missile Guidance Computer and Precision Script helps with application. The use of the Guristas C3-X ‘Hivaa Saitsuo’ Ballistic Control Systems is measured, as they provide a bonus to both missile and drone damage, but you can just as easily pick between DDAs or BCUs. Against some rats you’ll find your drones are more effective, against others missiles deal more damage. The biggest pain is just the reload time. Note: This is important to discover as you work your way through Abyssal Deadspace (AD) sites: Not all rats in a site need to die in order for you to advance to the next room. Don’t waste precious time hammering drones or rats in the Abyss that you can just as easily skate past and get out. Also, always destroy the research facility, they drop loot. The towers are a distraction, don’t waste time killing them. This is not a beginner fit, and it requires a lot of cap management to fly well. Fly it at your own risk. This Vagabond fit isn’t something I can lay sole claim to, and I must also state that this is still semi-experimental. 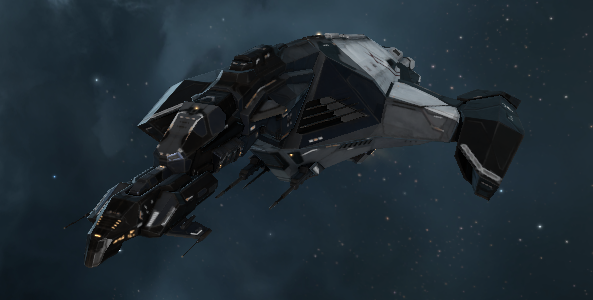 The backstory here is that I spent a good chunk of time in abyssal space on SiSi – I tried Ishtars, Gilas, an Eagle, even a Vigilant or two. Nothing I tried was anything I really liked, though they were effective in the sites I was trying (Tiers 1-3). Then, on the eve of release for Into The Abyss, I was sat on mumble chatting with a couple of people about it, and Sothrasil suggested we look at a Vagabond. So we did. Our initial theorycrafting session lasted probably an hour, as we bounced different ideas back and forth. We settled in on an afterburning 425mm autocannon fit to begin with, importing it from Jita that very night. 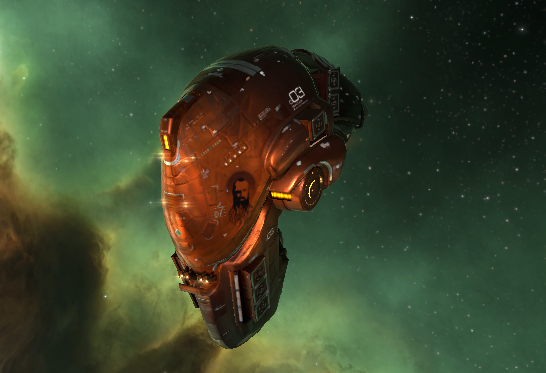 I was the first to try it out on the live server (seriously CCP, faction and deadspace mods seeded on SiSi when?! ), and after half a dozen sites I was timed out by a triple Leshak spawn and some bad piloting. But, this gave us some info on how it had worked, and so we switched it up slightly by moving to an MWD fit and swapping an Invuln for the Stasis web. We then had a different issue – Sothrasil timed out trying to track an ‘Aegis’ Sleeper frigate, and we couldn’t figure out what had gone wrong. At this point I left Soth to it for the evening, and he changed up the guns on the fit, moving to the 220mm T2 autocannons and adding a tracking enhancer. Importing another setup overnight, the current fit is working so far, and has successfully cleared Tier 3 sites as of May 30. A couple of notes on the fit. Firstly, this is built with almost max-skills in mind, and it is only going to become more expensive as Jurius noted. If you’re a newer player, you may wish to try some of the less expensive fits in this article. Secondly, set your XLASB auto-repeat off by right clicking the module when in space and selecting. This will ensure you don’t over-tank. On the topic of over-tanking, this fit reps roughly 56% of its raw shield HP every ASB cycle, so bear that in mind whenever you pulse your ASB. Thirdly, drugs. My suggestions here are the Agency ‘Pyrolancea’ DB5 Dose II, which provides a 5% damage bonus with no penalties, as well as Standard Blue Pill, for an extra 25% repping power. This means that with Blue Pill alone, you will rep 67% of your shields per cycle, which IMO is already starting to be crazy. But, if that’s not enough, I’ll talk briefly about implants. My personal recommendation is to start off with a set of 3% hardwirings for turrets – the MR-703 for tracking, and the MP-803 and SS-903 for additional damage – as well as a NR-1003 for the drugs, which is a set that will set you back roughly 60-65 million isk. Then, once you’re comfortable and start to push into the higher tiers, you can be really extravagant and go for a mid-grade Crystal set. 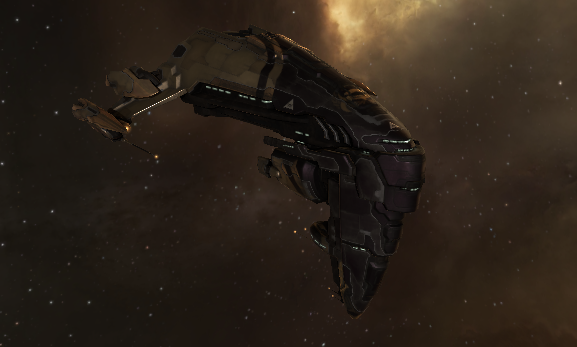 This is an expensive investment at around a billion ISK, so make sure you’re ready for the potential loss. This addition along with your Blue Pill will push rep cycles to a shocking 95% of your total shield HP. If that isn’t mind-boggling, I don’t really know what is. In the end, remember to bring the right damage loadout for the site you’re diving into, and keep an eye on the clock. Until you get a good handle on what kind of devastation you can put out on each of the different NPCs, it’s probably best to fly as inexpensively as possible. We hope these sample fits help people to get started in Abyssal Deadspace, and inspire others to come up with builds of their own. If you have any fits you’ve found to be effective, or stories of harrowing escapades in the depths of the Abyss, drop them in the comments below! Wow this is some really great info. Thank you for compiling it for us and thank you to everyone who shared their fits. At the time of writing the lowest price on an Ishtar in Amarr was 478.062.563 ISK !!!!! Highest almost 696 million ISK. The prices have gone a bit crazy, yep. That’s why I bought three of em last month. [Gila, Exotic Firestorm] put a small nos in that dammit, my OCD demands it, a ghoul is 12 cpu. Did this Vaga fit ever end up reliably clear T4+?